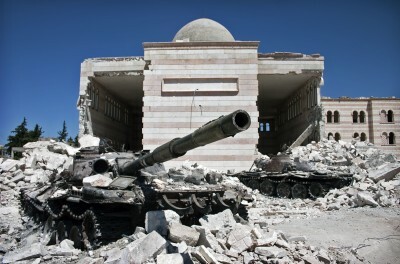 Syria’s war isn’t civil as widely misreported. It’s Obama’s war, naked aggression, launched in March 2011 using ISIS and likeminded groups – supported by US air power and special forces, waging phony war on terrorism. Since last September, Russia alone among world powers has been waging real war on its scourge in Syria, wanting it defeated, kept from spreading – regionally and to the Russian Federation’s heartland. Moscow’s main adversaries aren’t ISIS and other terrorist groups. They’re America, NATO and regional rogue states, backing the scourge they claim to oppose – enlisting death squads, imported from scores of countries, heavily armed and provided with other material support, defying Russia’s righteous mission. Its diplomatic initiative failed. Ceasefire is farcical. Conflict rages. Peace talks were dead-on-arrival. The only language Washington understands is force. It’s time for Moscow to abandon diplomatic futility and resume full-scale war on all anti-government armed groups, terrorists, crossing freely into Syria, largely through Turkey’s border, supported by Ankara, Washington and their rogue allies. The alternative is losing five-and-a-half months of hard won gains. Thousands of US-supported Jabhat al Nusra and allied terrorist groups have been bombarding Aleppo for days, slaughtering civilians, injuring many others. Militants took full advantage of the phony ceasefire declared in late February to regroup, rearm and replenish their ranks. So-called “moderates” don’t exist. Claiming otherwise is one of the biggest Big Lies about ongoing conflict. It hasn’t backed up words with action so far. Why the delay? Spotty strikes aren’t enough. Full-scale aerial operations on all anti-government forces failing to observe ceasefire need to begin now. Russia’s UN envoy Vitaly Churkin blasted its inaccuracy, crediting Washington and its rogue allies for accomplishments Russia achieved. “(T)he role of the (so-called) coalition led by the United States is singled out (for praise), while (Russia’s vital contribution along with Syrian forces is) deliberately ignored,” Churkin stressed. America and its rogue allies support terrorist groups. Russia forthrightly opposes them. Its aerial operations “reverse(d) the situation and undermine(d) the resource base of the terrorists,” Churkin explained. Ban’s report ignored Russia’s heroic efforts, its major role in liberating Palmyra, its forthright campaign to defeat terrorism. Churkin called it a wholly inaccurate “one-sided” document. It praised America and its rogue partners, supporters of terrorism, dismissing Russia’s vital efforts to combat this universal scourge. Ban is an imperial tool. Moscow has no peace partner in Washington. Relations between both countries remain adversarial. Pretending otherwise ignores reality.